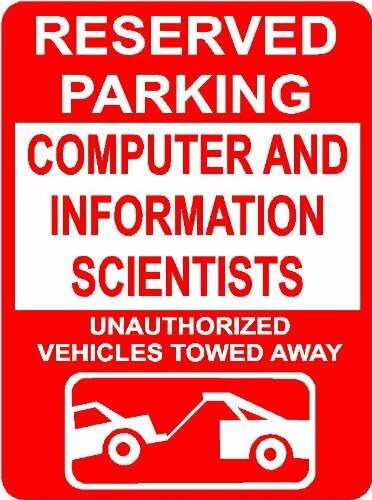 COMPUTER AND INFORMATION SCIENTISTS, RESEARCH 7″x10″ plastic novelty parking sign wall décor art Occupations for indoor or outdoor use. This is a plastic sign with vinyl graphics applied. Can be used outside or inside. Corners are rounded.